Library books for the Escola Pre-Secondaria Foho Ailico English reading project have now started their long journey to East Timor. No more books will be collected. Thank you to all those individuals and Bellingen Public School, NSW and Mundubbera State School, Qld for their help, we thank you for your generosity. Also thank you to Rotary Melbourne and Dili, Bob Glindeman and Darryl Mills for their help in organising this operation and Geoff Crouch and Chris Peddler of Crouch’s Transport Wagga Wagga for getting the books to Melbourne. Once pictures of the books arriving at the school are available I will post them for all to see. 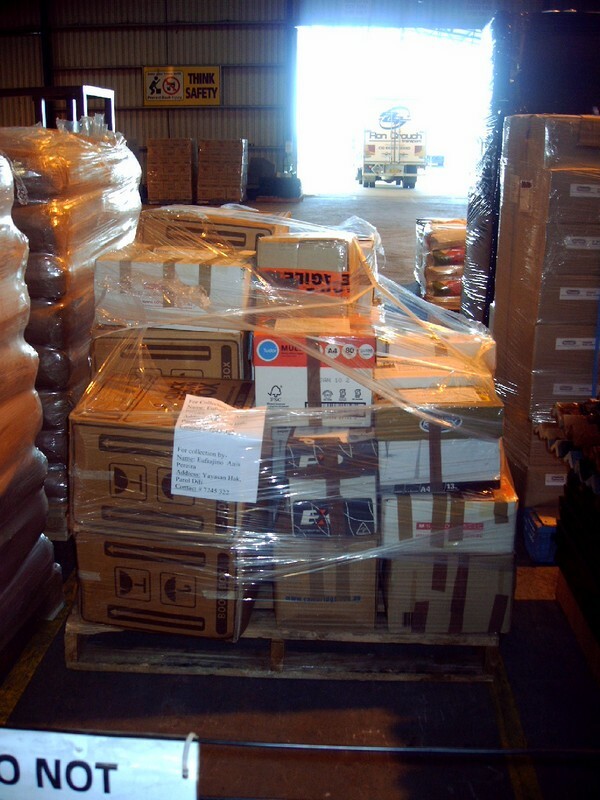 The books will be travelling by Rotary Container via the seaways from Melbourne to Dili and collected there by Jino Pereira, our hard working school contact. A safe journey and many more years of happy reading to them. On 13 June 2009, the Rotary Club of Rylstone- Kandos held its annual Trivia night at the Kandos RSL Club. Around 150 locals attended and the night was as always jammed packed with trivia, raffles, auctions and healthy competition. This year the Grub Club was a recipient of a very generous donation of $1000.00. We owe thanks to Amanda and David Roach who have been avid supporters of our efforts and who also allowed me to do a presentation to the local Rotary members last year. It was from this presentation that our efforts became known locally resulting in the support from the Trivia Night. I also need to thank many generous people who donated prizes including The McClymonts, Troy Cassar-Daley, Pete Murray, The Dukes of Windsor, The Songbirds (Sara Storer, Beccy Cole, Gina Jeffreys), Sneaky Sound System and Adam Brand. Donations also came from many locals including Baautiful Ewe, The Globe Hotel, Lollipop, Carlton Café, Bizzy Birds, Rylstone Newsagency, CRT Rylstone, Murdan’s, Yours and Mine Hair and Sportscene Bathurst. It was a great night with a table of local Kandos High School teachers, which included the Grub Club's Debbie Locke, winning the night. 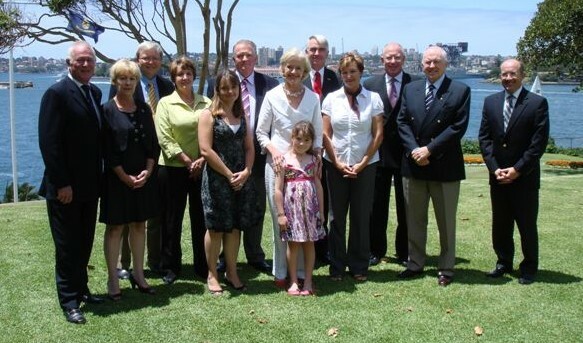 On the 10th January 2009, Debbie Locke was invited to Admiralty House Sydney to meet Her Excellency Ms Quentin Bryce, Governor General of the Commonwealth of Australia. This was a great opportunity to discuss with the Governor General our objectives in Oruzgan which correlated with her own ideas of helping the plight of all women and children. While sipping coffee out of delicate china cups, Debbie was able to talk to both the Lt Gen David Hurley and Lt Gen Ken Gillespie about the situation in Afghanistan. It was also remarkable because the Prime Minister Kevin Rudd happened to drop in for a cuppa from next door. The message that was passed on from these gentlemen was that winning hearts and minds would be part of the battle in Oruzgan and humanitarian projects were very important in this process.